It’s an age-old tradition as old as the White Pillars of Pong. 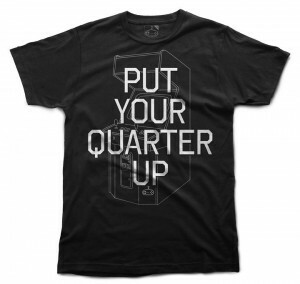 Save your spot by claiming your territory and slapping down your coin on the machine. Sadly, most of today’s youngens won’t know the pleasure of going to the arcade. Today, they have games in their homes. They don’t have to go anywhere. They can even play multiplayer with kids across the globe. So here’s some advice: use a token system at home. Give your kids tokens for finishing chores and they have to use those tokens to play video games. And if someone wants to take the next turn, they have to slap the token down on the PS4, or the Xbox, or whatever. It’s only fair. That’s what you had to do.